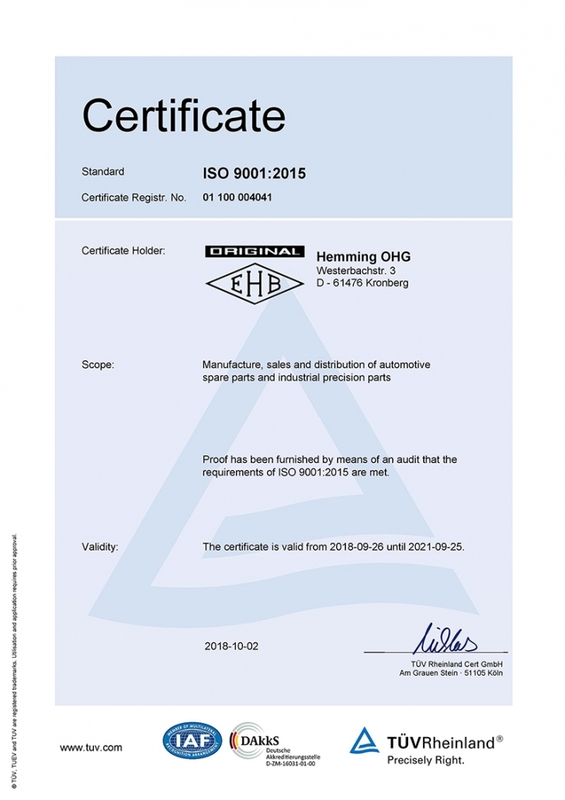 DIN EN ISO 9001:2015 has been developed, documented and implemented. It covers the development, manufacture and sale of automotive spare parts and industrial precision industrial parts. A constant dialogue with our business partners enables the continuous development and improvement of existing processes.